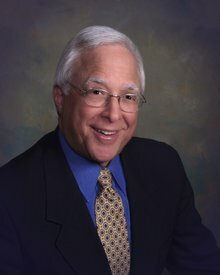 Paul J. Scheinberg, MD, has been named the 2013 recipient of Saint Joseph's Hospital of Atlanta's E. Napier Burson Jr., MD Award of Distinction for his commitment to his patients and to the practice of medicine. Scheinberg, named chief medical officer of Saint Joseph's Hospital in April, is a founding partner of Atlanta Pulmonary Group and has been actively engaged in the practice of pulmonology and critical care medicine at Saint Joseph's Hospital since 1979. He is a leader in the field of lung cancer and has participated in numerous research studies advancing pulmonary care. The award, given annually since 1991, is Saint Joseph's Hospital's highest honor for physician service and recognition. It is named after the late Dr. E. Napier Burson, a respected Atlanta internist and gastroenterologist who was an influential medical staff leader at Saint Joseph's. "Dr. Scheinberg is certainly deserving of this prestigious honor," says Scott Schmidly, CEO of Saint Joseph's Hospital. "It is testimony to his many contributions to medical leadership and his commitment to quality and patient service during his more than 30 years at Saint Joseph's Hospital." Schmidly presented the award at a May 16 ceremony in Atlanta. Past Burson Award winners include Carl R. Hartrampf Jr., MD, pioneer in the development of reconstructive plastic surgery procedures and John C. Garrett, MD, orthopaedic surgeon and co-founder of Resurgens Orthopaedics. A group of past award winners, senior management and Sisters of Mercy served on the selection committee for this year's Burson Award.